· The local music community shall benefit via interaction with top international musicians. · Creation of opportunities whereby Tanzanian musicians may be coached & mentored by top international musicians. · Promote the development of talented young Tanzanians; Educate, motivate, inspire, and empower. 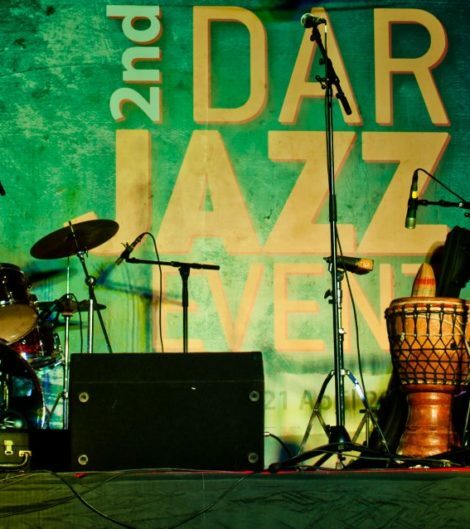 · Share the principles of Jazz as a creative inspiration for the further development of Tanzanian music. · Far-reaching media coverage in Tanzanian newspapers, magazines, and broadcast television. · Outreach seminars for a wide segment of young, local musicians. · The project serves to unify a diverse segment of professional local musicians. · Attraction of capacity crowds at all events. · The project has solidified the popular appeal of Tanzanian-American Bongo Flava Jazz Fusion. · Significant improvement in local music logistics and infrastructure (sound/stage/light). · Discovery of new local and regional talent possessing international appeal.